SAVE YOUR LOGOlooks to leverage private sector and multi-stakeholder engagement for dramatically expanded funding for endangered animals. While focusing on particularly threatened species, this initiative will also target those animals used for branding and in logos of global corporations. 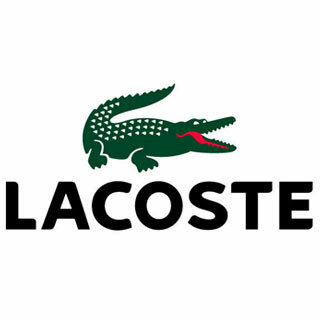 Lacosteis one of the first big companies to pave the way by using their crocodile logo to raise awareness for, wait for it....crocodiles. Emotionally attached to your brands? Switched-on Brand Consultancy BrandHouse have this month revealed the results of their extensive research into the importance of an Emotional Connection between Brands and their Consumers. “The BrandHouse Emotion 100” study reveals which top Brands have an emotional connection with their Consumers, giving them “emotional competitive advantage” over their rivals, and more importantly, why. As discussed this month in Marketing Magazine, as the downturn continues, and shoppers continuously seek cheaper alternatives, including own-brand products, it is increasingly important for the world’s leading brands to stay on top of their game, by understanding how and why they need to gain this advantage. Following a chat with BrandHouse Managing Director Crispin Reed, I got all the insider knowledge on the report to fully understand the extent of the research. Following an extensive overview of the academic studies surrounding emotion, the BrandHouse team centred their study on 7 key dimensions of emotion. Using a representative sample of 2000 UK consumers aged 16 – 64, each consumer was asked questions, enabling them to rate each of the 100 ‘most significant’ brands based on these 7 dimensions. These dimensions include contentment, belonging, compassion, pride, enjoyment, excitement and desire. A handful of Hanson Search employees were asked to be interviewed by leading Training and Recruitment Professional Andy Partridge. The day was a great success and the evidence can be found here, although not all consultants made the final cut! In France, at the beginning of 2008, the most popular websites searched on Google were, in order: Youtube, Google then Facebook. After impressive escalation, Facebook exceeded everything to finish on the highest step of the podium at the beginning of 2009 (have a look ). Facebook is fast-becoming the most useful tool in the market across advertising and marketing. So, pay attention! Today anyone can know who you are… ! The coldest winter for 13 years reached new levels on Monday when the whole of London came to a standstill. Heavy snowfall on Sunday night resulted in many being stranded in Central London as Transport for London decided to halt all bus services. The situation only got worse on Monday morning with many of the tube lines being suspended or having serious delays. Taxis refused to go anywhere, suburban train services were also cancelled, and we all looked on in horror (and some amusement) as the capital city came screeching to a halt. For those that were brave/determined/stupid enough to attempt to get into work, I have heard stories from friends about 4 ½ hour journeys, hours stuck on crowded, sweaty trains and 2 hour treks to reach their final destination, whereas 1 in 5 workers failed to make it in. Despite warnings that the disruption could cost the economy £3bn, the overall effect of the snow was one of glee. What is it about snow that makes everyone revert childhood? Snowball fights, the building of snowmen, the making of snow angels, skiing across Clapham Common (something I never thought I’d see) – all childish activities that created a brief moment of joy in this recession. As Stuart Jefferies writes in the Guardian, “Just for a day, Londoners got hit by something special....for a day at least, Londoners returned to a forgotten innocence”. After all, there’s nothing like a good snowball fight to make you forget about the horrors of the economy. Economic downturn- blah blah blah- we’re all sick of hearing about it. However, a more exciting side effect is the number of PR and communications agencies that are combining forces in very sensible mergers. In this difficult time, organisations are cutting budgets and PR alone may be seen as an optional luxury. As such, agencies need to pack a bit more punch for their pennies in order to retain a “must-have” status with their clients. Just this week we have seen the exciting rebrand of Geronimo Communications as Kindred www.kindredagency.comfollowing their merge with Mustoes advertising agency in September 08. Broadening beyond Geronimo’s public sector PR, Kindred will offer full service communications to their existing government and public body clients, as well as a new offering of private sector expertise. All this got me thinking (dangerous, I know), my teenaged cousin is ever-mindful of the credit crunch and has mastered the art of saving her mobile phone credit by conveying even the most complex of concepts in ONE text message. Thrifty. Of course I never understand what the hell “Cu l8r cuz. Sat wz wkd J” means. Being more of a face-to-face kind of girl, perhaps I should take a leaf out of both my cousin and Kindred’s book and economise on my vocabulary. Perhaps I will start merging my words to save valuable time- leaving more to chillax (chill out/relax) with my bend (best friend), eating frickin (fried chicken) and chalking (chatting/talking). How fantabulous- this is blogtastic. A recent PR Week Articlerevealed the top directors at ten leading UK PR agencies were paid a total of £7.95m in 2007. The research conducted by Kingston Smith W1 had City specialists Finsbury out in front, paying in the region of £2.3 million pounds in 2007. It will be interesting to see how 2008s figures read. This week as reported on Marketing WeekE-tailer Amazonhas revealed an amazing 9% increase in profit during the final months of 2008, equalling a £145mil rise from a year ago. Pretty impressive considering the current economic climate, and doom and gloom of many of the other retailers profit’s last year. It’s hardly surprising however, considering the rise in popularity of online shopping, alongside the huge variety of products available on the site with the opportunity to buy products both new and old. The E-tailer has been expanding its offerings over recent years and now sells products in over 30 categories ranging from hairdryers to jewellery, and last year launched a music download site. In addition it has continued to strengthen the reliability of the brand, creating a household online name which consumers trust. (If you didn’t know, it snowed a little).